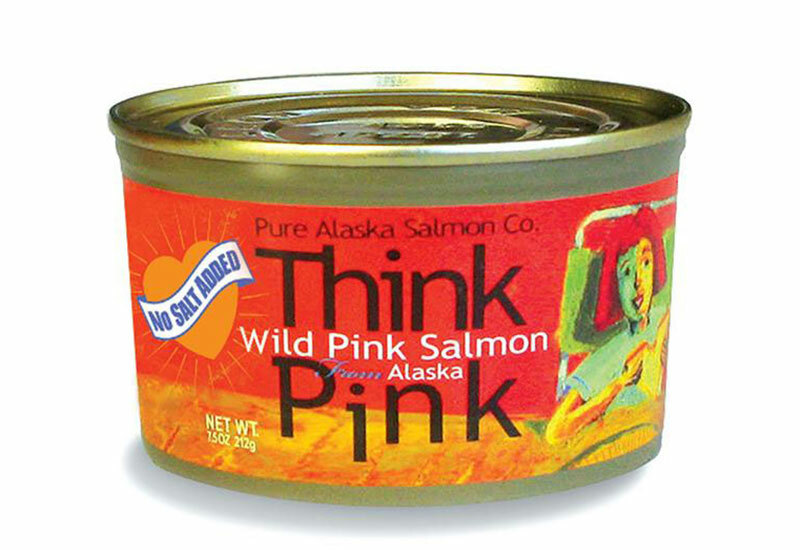 No salt added Think Pink wild Alaska pink salmon provides the same delicious flavor, high nutritional value and versatility as Think Pink regular, but with substantially less sodium. 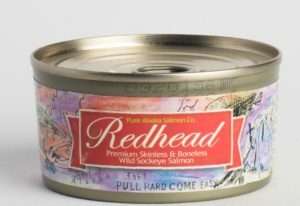 There is nothing in that can but a salmon steak. 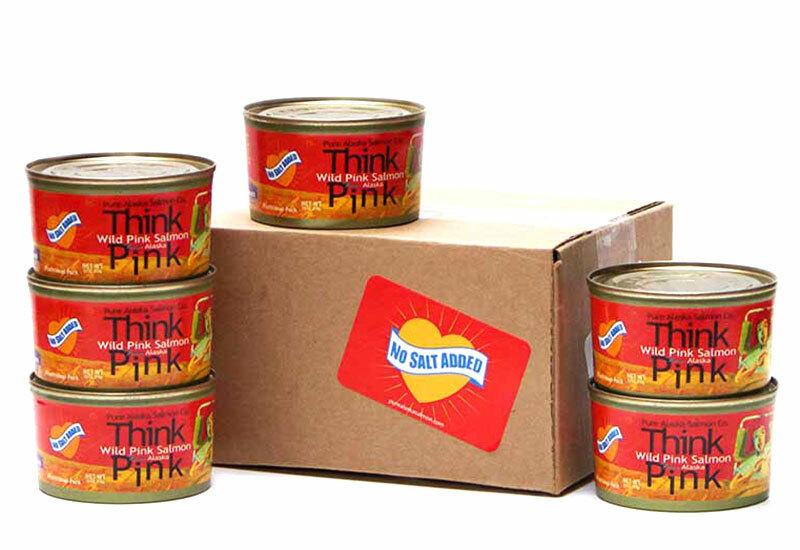 Think Pink is perfect for everyday in sandwiches and more. 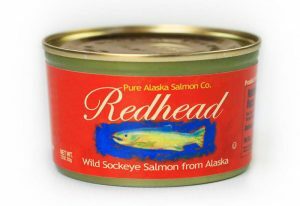 Alaska salmon are pure. 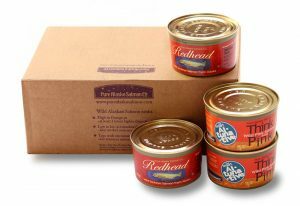 Caught in the waters of Southeast Alaska, the premier source of wild caught Alaska pink salmon. 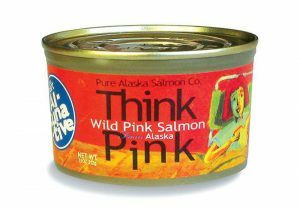 I have been purchasing and eating Pure Alaska Think Pink–No Salt Added for a long time. It is an excellent product, and the taste is great! 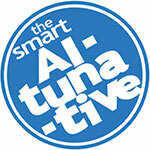 Also, the Pure Alaska Company provides customer service that is far beyond my expectations. This customer service is personal, and my order always arrives immediately with free shipping. Great product and great customer service!! !